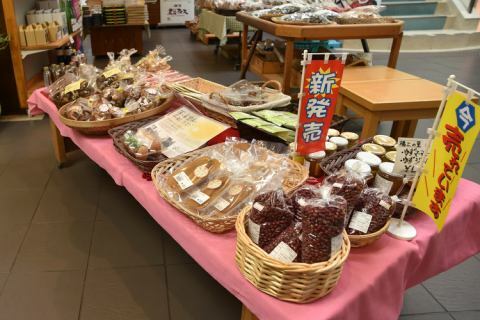 A wide selection of shops are overflowing with attractive local products of local origin, including specialty rice cake, etc. Also, special products full of ideas using rich and reliable ingredients are only the powerful work of young migrants from urban areas that are growing every year.Please visit us and purchase.It is surely pleased as a souvenir. *Everyday Broadcasting, Chicpea Pui, with Furuya's, Mochi and Mochi Rice Crackers, etc. were interviewed. 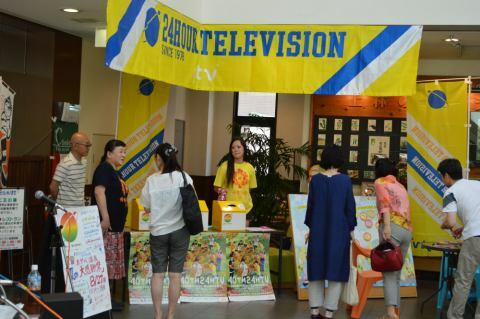 24 Hour Television 41 "Ai is Saving the Earth" It was chosen as a charity donation venue. It is a state of the special venue in 2017. "People who changed my life"
I am waiting for a lot of love. 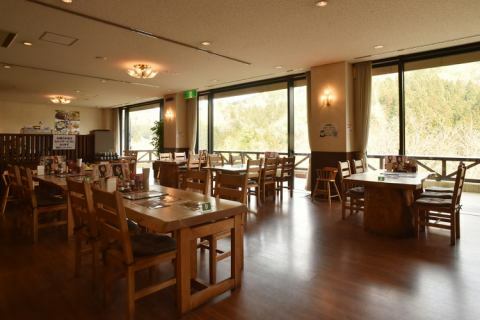 The view of the woods you want from the restaurant is like a 3D picture screen of a movie theater.Please experience the season you feel with cinema size. The natural table with warmth of wood attracts a lot of visitors' interest. There is no doubt that the banquet hall equipped with karaoke facilities accommodating 40 people will be excited with the right area for the company's one night trip.Moreover, as a training venue, I feel a sense of unity and have earned favorable reviews. 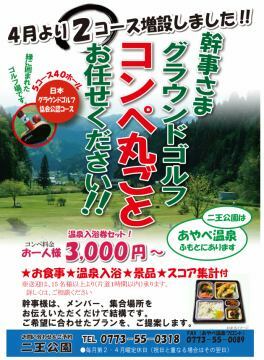 ① You can read hot-spring users free of charge. ② Please refrain from using cartoons only. 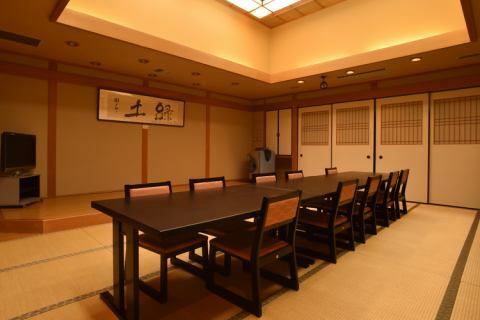 ③ Please read only in the Onsen Building. 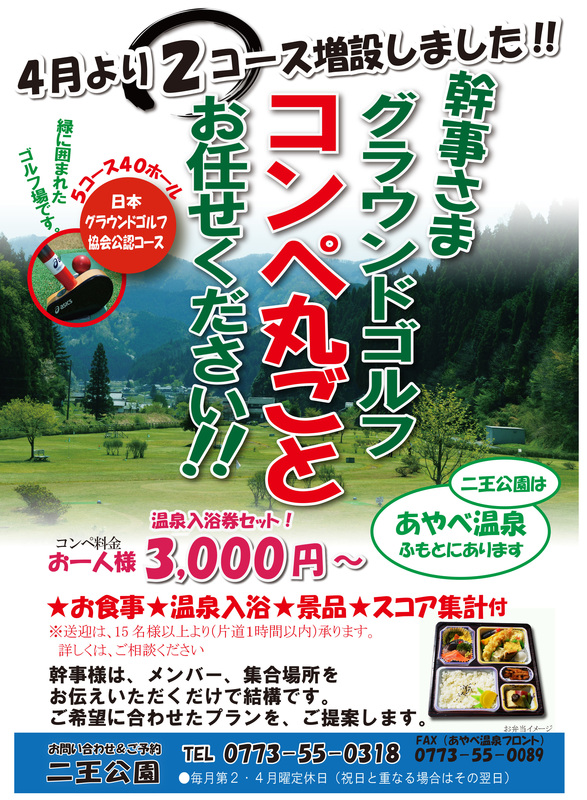 ④ It is prohibited to bring it out to a Nio-kan where a restaurant is located. 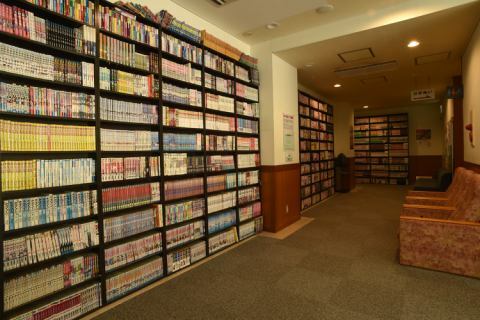 ⑥ We are also renting. 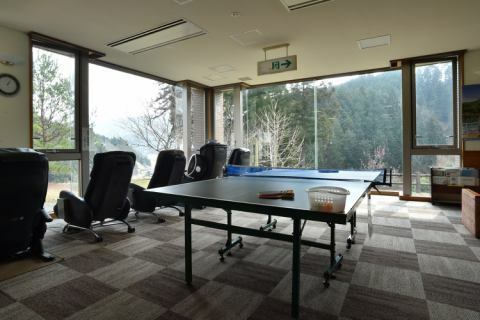 If you would like to rent a Nio-kan please contact the reception desk. Please heal the tired body with Yu Yoshimasu good ~ Yura ゆ ら ~. 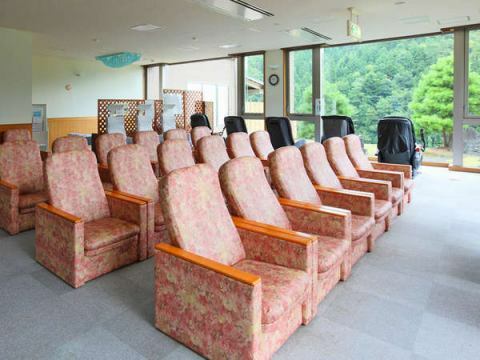 Please relax comfortably while watching TV. The view from 5 massage chairs is healed to the utmost. All-you-can-eat around the common fee! There is one barrier-free room.Accommodate up to 4 eyes in a twin room.There is no indoor step.There is no step in the indoor toilet and the bath.